If summer were to make an enchilada, it would be something like this. 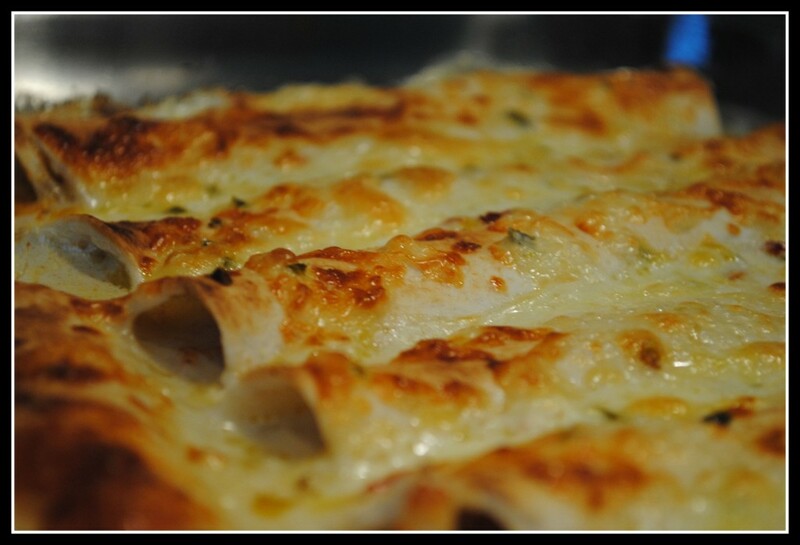 With all the cheese, I think of enchiladas as being very heavy, and certainly a cold-weather food. But not these guys. They’re light, and fresh, and bright. That will only make sense when you try them.. These enchiladas were the perfect blend of sweet and savory with a hint of tart from the lime juice. Truly amazing. Honey-Lime Enchiladas adapted from Cassie Craves and Good Thymes & Good Food, originally from What’s for Dinner? Preheat oven to 350 degrees and mix the first five ingredients together. Toss with shredded chicken and refrigerate; allow to marinade for at least 1/2 hour. After marinading, stir in 2% Colby/Monterrey Jack cheese. Using 1/2 cup enchilada sauce, coat the bottom of a 9 x 13-inch baking pan. 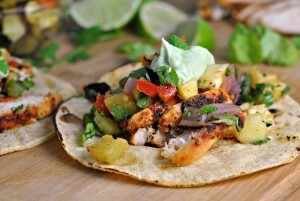 Fill flour tortillas with chicken/cheese mixture, then roll up the filled tortillas and place in bottom of pan. Mix the remaining enchilada sauce with the half and half. Pour sauce on top of rolled enchiladas and sprinkle with Monterrey Jack cheese. Cover with aluminum foil and bake for 20 minutes. Remove aluminum foil and continue to bake for 10 more minutes. If the tops of the enchiladas are not browned, broil at 500 F for 1-2 minutes. Watch carefully to avoid burning. Yield: 5 servings (2 enchiladas each). Result: These taste just as they describe – honey & lime! And, it works! I did reduce the honey a tad and I made some major modifications to “clean” things up from the original version. Firstly, fat-free half and half in place of heavy cream. Right there is a HUGE savings of calories and saturated fat. I also used 4 ounces of Monterrey Jack with 2 ounces of 2% shredded cheese in place of 16 ounces (a pound) of full-fat Monterrey Jack — a savings of over 1,000 calories…200 calories per serving. And again, a ton of saturated fat. Next time I would like to try making fresh enchilada sauce with tomatillos versus purchasing prepared enchilada sauce, as this is where the majority of sodium came from. I think all of the modifications made huge caloric cuts in the totals and as usual, sacrificed little to no flavor. Delicious…enjoy! Tonight starts a new weight management class that my private practice is running as more of a “support group”. It sounds like a great group of 11 women who are eager to improve their diets and increase their activity! I can’t wait for 5:30PM! Question: What’s your favorite flavor of sorbet? Wait a sec? Honey in Enchiladas!? I gotta do this. I’ve made these before and they ARE awesome! I love your pictures! I can’t believe that recipe required a pound of cheese!! Sometimes its so easy to make a few simple substitutions and save a lot of calories. I’m a huge fan of reduced and fat free dairy. I’m sorry you had a bad day yesterday, but at least your student was So sweet!! Seems like your dinner was a success though too! Those look yummy!! Hope today is better for ya! 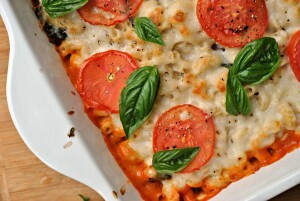 As usual, looks delish!! Sorry you had a crummy day, and you’re right, sometimes a good cry is needed! Hope the rest of your week is fab! The enchiladas and the sorbet sound great! Have a great Tuesday! will be making these this weekend! And now I have sorbet on the brain-I think I’ll do a mango sorbet. Ok – I need to try these. Ive been craving enchiladas like crazy for the past few weeks – I just keep forgetting to buy the ingredients. How sweet of your old student to bring you sorbet. People like that make you forget about all the jerks out there. My fav flavor of sorbet is strawberry! What an unusual combination of ingredients but they look amazing. Sorry you had such a bad day but a good cry sometimes relieves us of all that stress. Sorbet-so many flavors it’s hard to choose just one but I do love coconut! Sorry to hear about the bad day. These enchiladas must have made you feel a little better. They look so incredibly good. I don’t eat much sorbet, I did try one that was merlot flavored and it was berry-like with a hint of wine. So good! 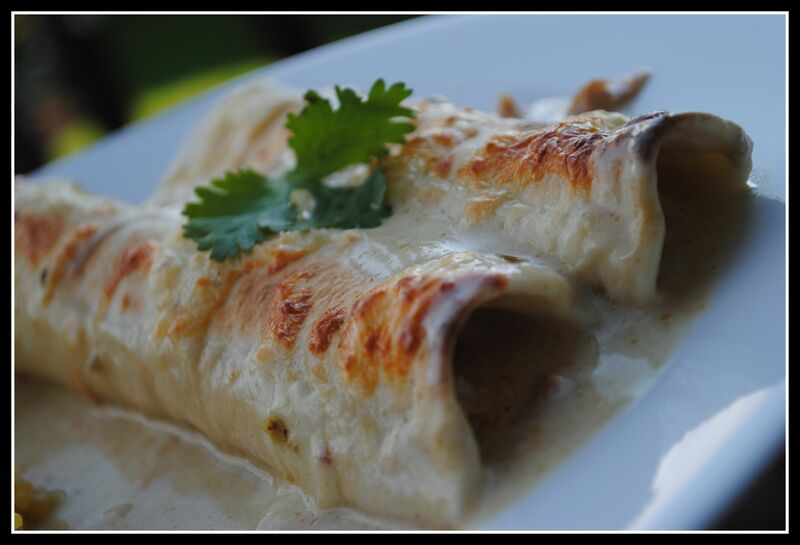 Your enchiladas look awesome, I am definetly hanging on to this recipe. My favorite sorbet is raspberry. You had me at honey! I have to give these a try! Yumm! Sorry your day didn’t go all that great yesterday. Sometimes you do just need a good cry. Hope today is better. 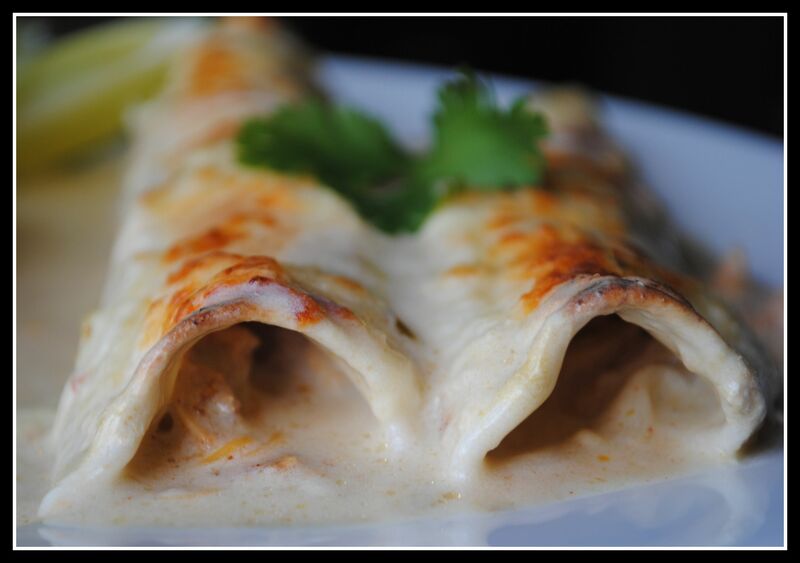 Nicole, the sound of these enchiladas are very tempting…love the idea of honey and lime…a touch of sweet. And indeed looks delicious. Can’t wait to try these this summer, yum!